Damien Skipper is a very important part of Montsalvat’s community. He has lived and painted here for much of his life. 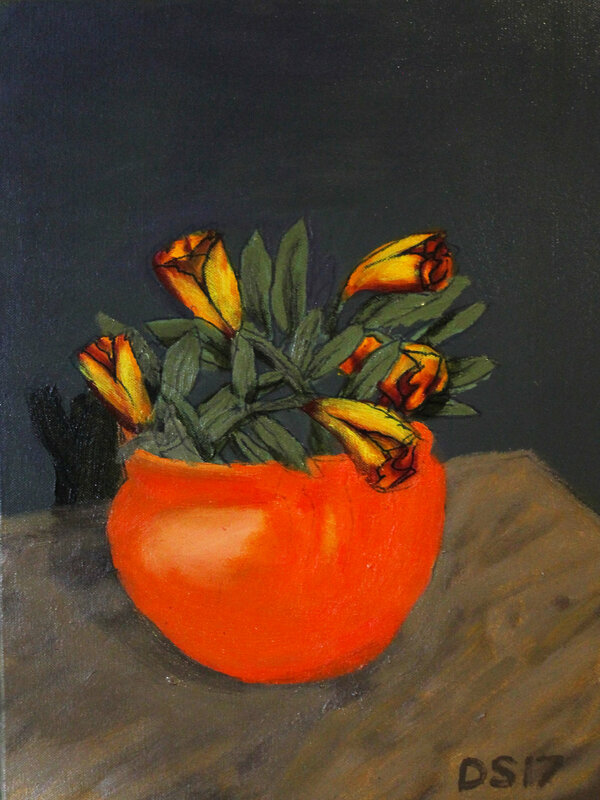 In this body of work he has used a bright optimistic palette to remind us of the beauty of flowers. The combination of these elements evokes a joyous affirmation of life.